Reviving Extinct Species: Is It Worth the Cost? Bringing extinct species back from the dead could mean letting living species slip away. A new study of de-extinction — the potential to use genetic techniques to recreate lost animals and plants — finds that given limited conservation dollars, the benefits of bringing back one lost species would probably cost the extinction of more species that are currently on the brink. 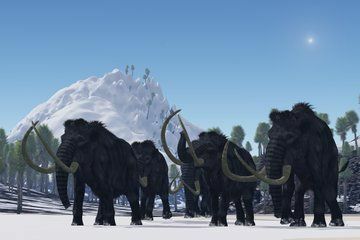 For example, if New Zealand resurrected 11 of its extinct species, the government would have to sacrifice the conservation of 33 living species to pay to keep the revived species alive, researchers reported today (Feb. 27) in the journal Nature Ecology &amp; Evolution. Not everyone finds the cost-benefit argument compelling, however. While weighing costs and outcomes is critical in any conservation scheme, there are other ethical issues at play in the de-extinction debate, said Ronald Sandler, the director of the Ethics Institute at Northeastern University in Boston. Proponents of de-extinction are often driven to right past wrongs, Sandler told Live Science. "You might have a species that is very culturally important or symbolically important and it might be reasonable to take extra measures," Sandler said. No one has yet been able to revive an extinct species for any significant stretch of time. The closest thing to a victory so far was the revival of the Pyrenean ibex (Capra pyrenaica pyrenaica). The species went extinct in 2000, but scientist reported in the journal Theriogenology in 2009 that they had cloned an ibex embryo and successfully grew it to term in the uterus of a goat. However, the female baby ibex lived for only a few minutes before dying due to defects in her lungs. Still, de-extinction is under serious consideration by conservationists and geneticists alike. In 2015, Harvard scientists announced that they had used the gene-editing technique CRISPR to put mammoth genes in the elephant genome, a process that could theoretically result in a sort of woolly mammoth/elephant hybrid. The initial cost of resurrecting a lost species is unknown, Bennett told Live Science, so for their study, he and his colleagues focused on costs that are easier to gauge: the expense required to reintroduce an extinct species into the wild and then protect it. They made their estimates using conservation data from New Zealand and New South Wales (NSW), Australia. First, the researchers considered 70 animals from New Zealand and 29 animals from NSW that went extinct within the last 1,000 years. From this list, they gleaned 11 New Zealand species and five NSW species that were relatively similar in habitat and lifestyles to living species that are covered under current conservation plans. "We used the living ones, with all their costs, as the surrogates for the extinct ones," Bennett said. The researchers then ran the numbers on two scenarios. In one, the government was solely responsible for bearing the conservation costs of the de-extinct species. In the second scenario, private organizations stepped up to pay the bill for conserving the revived species. Most of the species the researchers ended up considering were animals, though there were a few plants on the list. In New Zealand, the theoretical de-extinct species list included eight birds, such as the iconic huia (Heteralocha acutirostris), with its curved yellow beak, and the once-plentiful laughing owl (Sceloglaux albifacies). The list also included two plants (Myosotis traversii var. cinerascens and Stellaria elatinoides, neither of which have common names) and one frog, the Waitomo frog (Leiopelma waitomoensis). In almost every case, reviving an extinct species and asking the government to pay to conserve it would require deprioritizing a greater number of still-living species, the researchers found. The money used to conserve all five New South Wales species, for example, could go to keep 42 not-yet-extinct species from vanishing. The only exception to this rule was the New Zealand species Coenocorypha chathamica, or the Chatham bellbird. Conserving that "revived" bird would likely protect habitat for 39 living species, the researchers found. However, Bennett said, the cost-benefit doesn't include the cost of reviving that bird in the first place, so even in that best-case scenario, de-extinction probably ends up costing more than it is worth. In a scenario where external sponsors step up to conserve the revived species, there are no losses for already-living species, the researchers found. However, those conservation dollars, if applied to living species rather than de-extincted ones, consistently went further and saved more species overall. "To me, if I was a private agency looking at conservation, I would be considering working on the living rather than the dead as my best legacy," Bennett said. Northeastern's Sandler, in a News &amp; Views Op-Ed piece accompanying the study, made a case for looking beyond these raw numbers. There are too many uncertainties to be sure that de-extinction would be a net loss in all cases, he said. He cited an effort to bring back the extinct heath hen to Martha's Vineyard as a project in which the goal is to preserve not just the bird, but its entire habitat. Straight cost-and-benefit analyses don't take into account all ethical concerns, Sandler added. While such analyses are "important and crucial," he said, there are some species that might merit extra effort just by dint of their symbolic, economic or cultural value. (Think of the effort that China expends to save the iconic panda, for example.) Proponents of de-extinction also often want to rethink the entire "parks and preserves" paradigm of conservation, Sandler added. In a world where the climate is changing rapidly, the ecological relationships in those parks and preserves are fraying, he said. "Some conservationists are trying to rethink the ways in which we approach conservation, because some of the standard paradigms aren't as effective as they once were," Sandler said. Bennett said he respects the ethical arguments that de-extinction proponents make, but sees the practical considerations as more compelling. "If you have 10 million [dollars] and you can bring back one species or you can use that money to save possibly dozens more, you have a choice at that point," Bennett said. He added, "My real hope with this paper is that it will shine increasing attention on our opportunity to conserve species before they go extinct."